Today was another weekly Fedora Engineering and Steering Committee (FESCo). We had been looking forward to this meeting for a decision on the GNOME auto-suspend by default behavior but there wasn't a quorum and that topic was then diverted until next week. But there were also early Fedora 29 features approved this week. 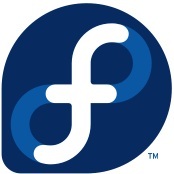 - Python 3.7 is approved for Fedora 29. - Ruby on Rails 5.2 will be available as another F29 system wide change. - The 389 Directory Server (389-ds-base) will no longer be built for i686 due to problems. - The Python 3 version of Ansible will be provided by default. That's it for today's feature approvals at the FESCo meeting. Expect much more in the weeks ahead. Fedora 29 should be released around November of this year.